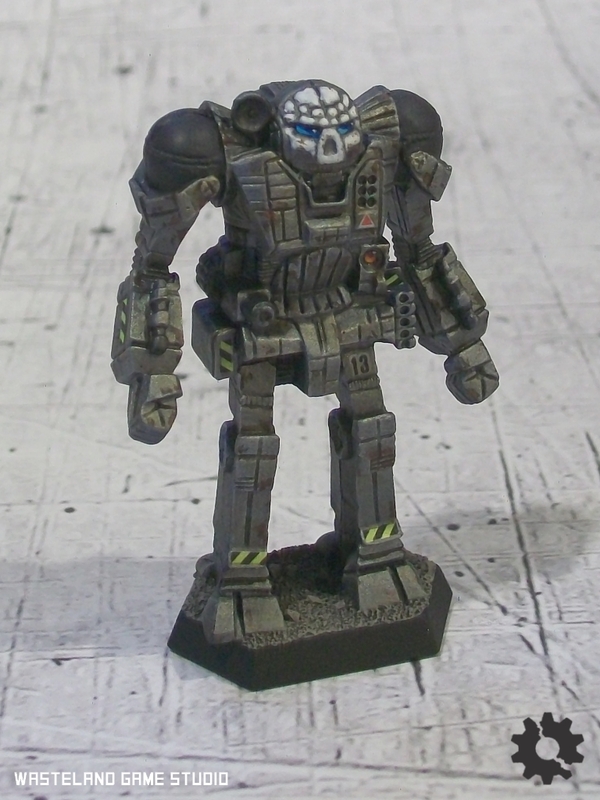 While it’s 40k that has occupied most of my hobby and gaming time since Long Ago, Battletech was the first game that I properly got into way back in Junior High. 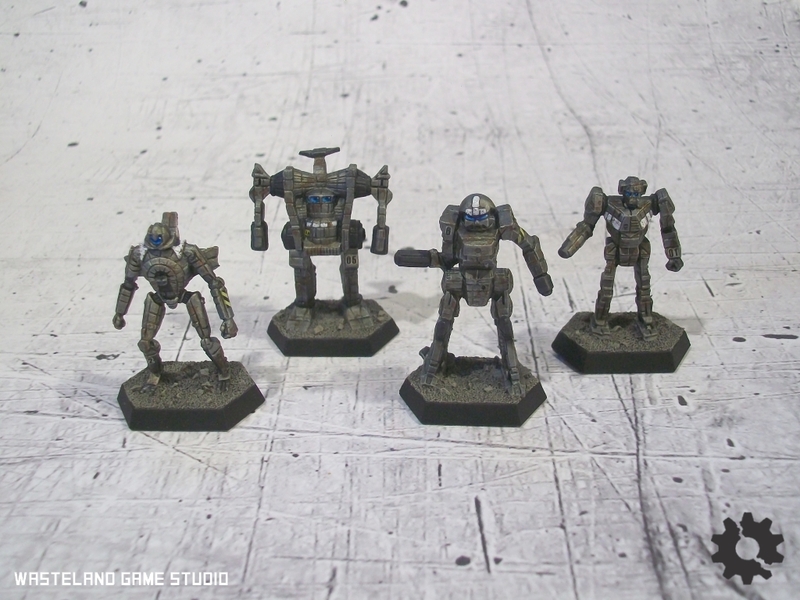 At the time it was just Battletech – the “Classic” distinction was not yet required. While it has been a couple years at least since I last played, I’ve still got a lot of stuff for it kicking around. I picked up the Alpha Strike rules back when they first came out, and while my first impressions are quite good I haven’t yet managed to actually play the thing. Some of my friends have though; it sounds like they’re on board. I mostly picked what to start painting based on how cool I thought they looked, with some consideration given to building lances that at least made some vague sense, at least in terms of weight class. 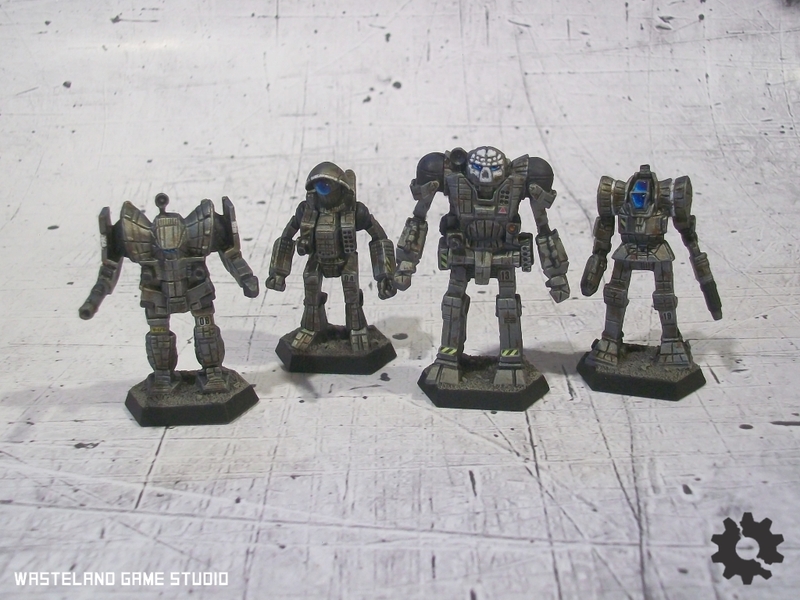 Here we have the Spider, Jagermech, Vindicator and Clint. While the paint scheme is fairly straightforward, I find that adding a few small markings with decals really adds to the overall effect. 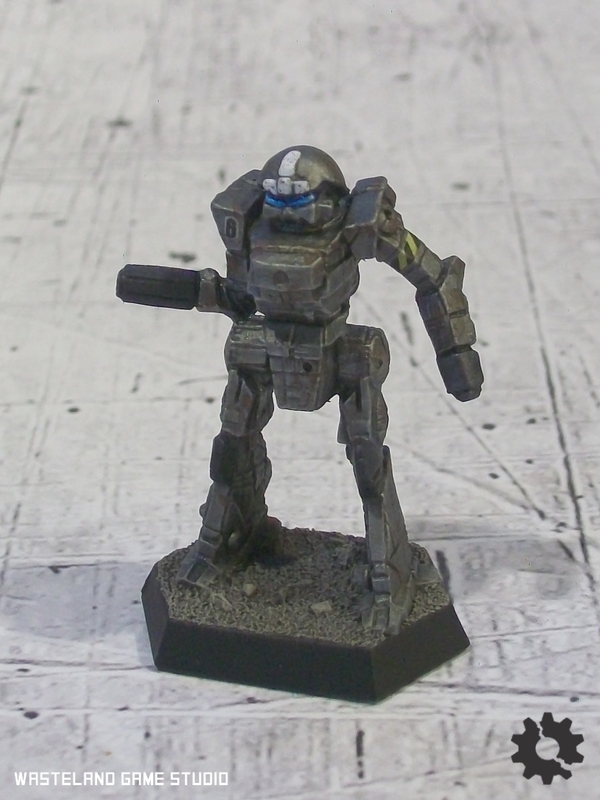 While I have some sheets of Battletech decals from Fighting Piranha somewhere, they’re all faction insignia – here I’ve mostly used numbers and caution stripes from a couple of Heavy Gear decal packs, plus a few others from old model kit decals that I’d stashed long ago. Now we’re talking… gigantic stompy robots to wreck up the place! 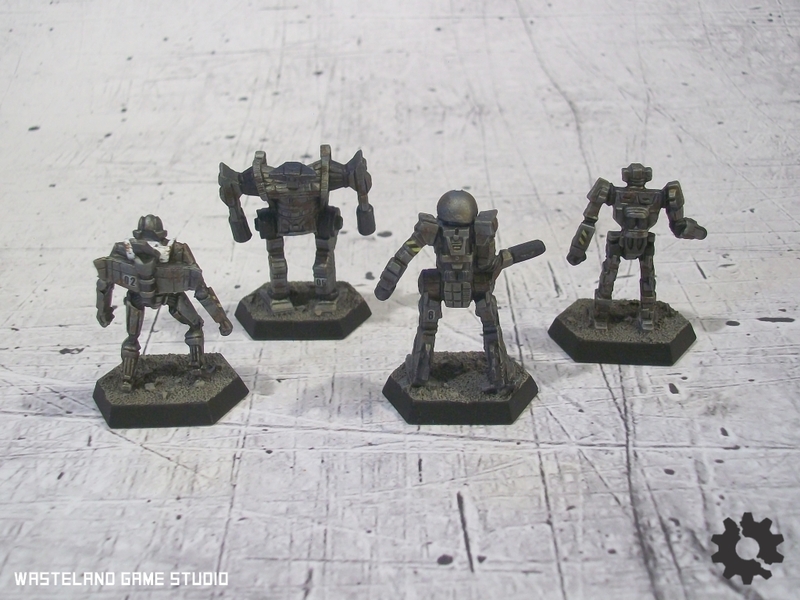 These are some of my favorite, iconic ‘Mech designs. Presenting the Awesome, Cyclops, Atlas and Zeus. 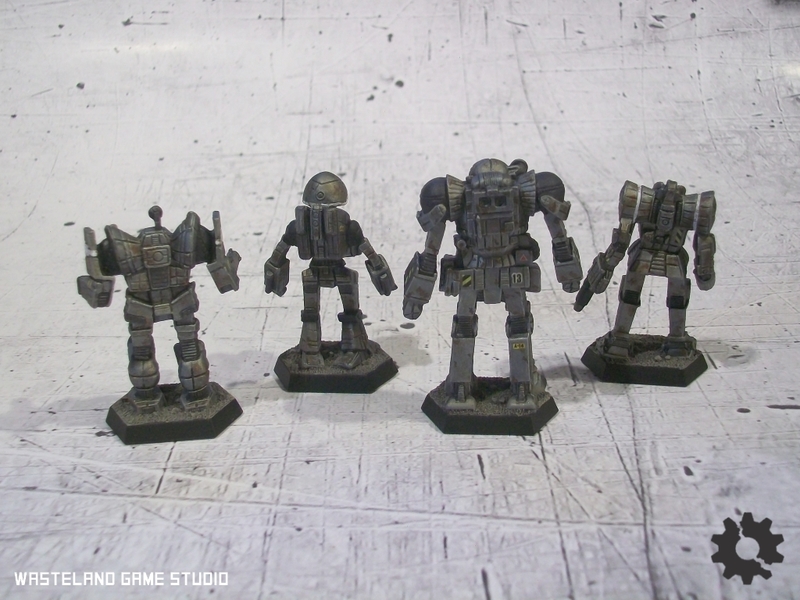 The weathering was done primarily with patches of Army Painter Soft Tone, followed with sponge chipping using Vallejo Panzer Aces Dark Rust (my go-to weathering color). For extra wear, I added flecks of P.A. 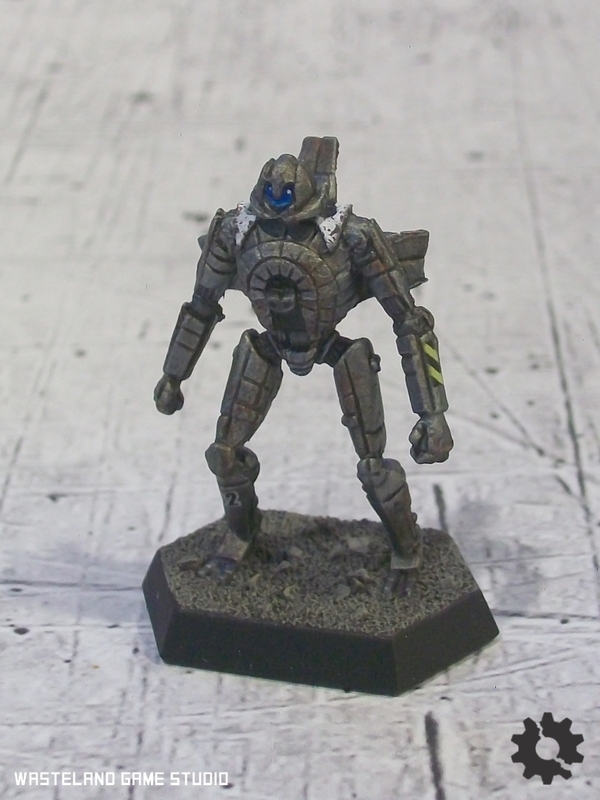 Light Rust inside a few of the darker patches, with a brush this time for more control. The white panels were one of the last steps, but I deliberately applied it with a patchy dabbing motion to create the look of heavily-chipped paint. I might end up repainting the bases do something a bit more brown. 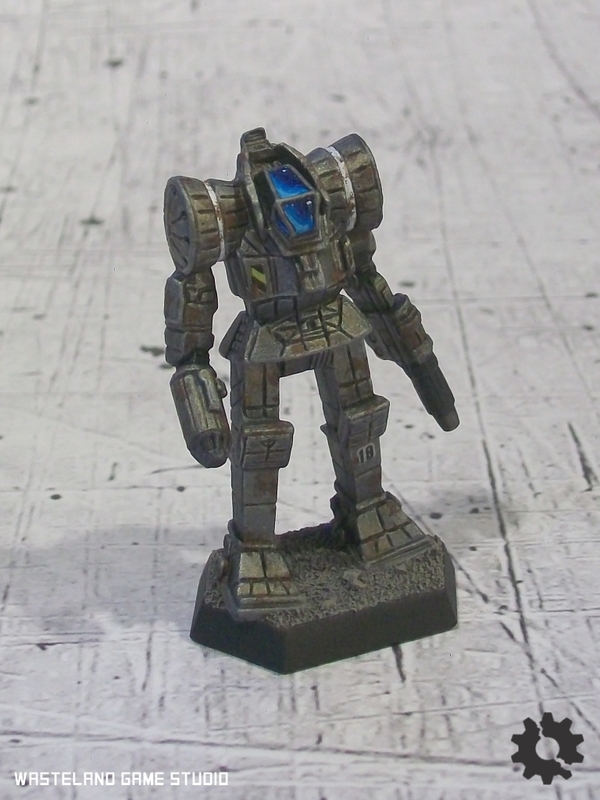 I used my usual colors here (Game Color Cold Grey and Model Air Medium Grey) but I think it may look a bit too similar in tone to the paint on the ‘Mechs themselves to stand out properly. I mean damn, the Atlas is so freakin’ cool.